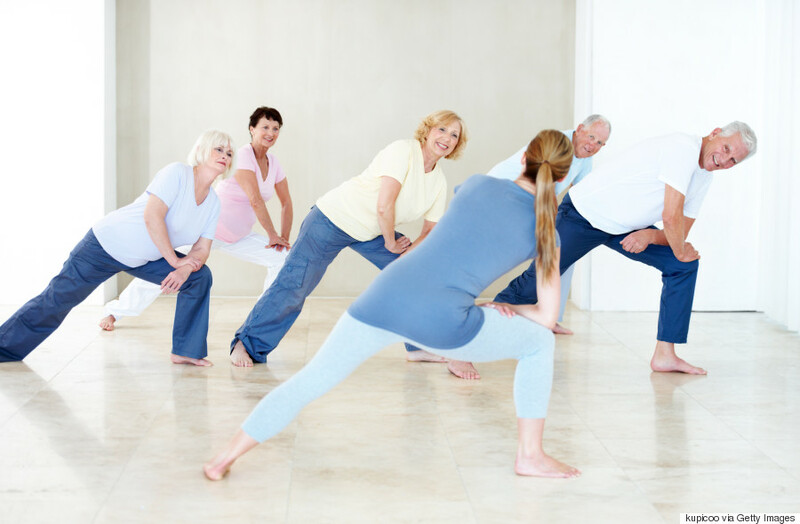 Maintaining flexibility as you age helps prevent muscles from shortening and becoming tight. Try these safe, effective stretches designed to minimize pain, improve balance and reduce the risk of injury. However, before you start, make sure to consult with your doctor first. Aging hips are prone to experiencing chronic pain, and sitting a lot can make it worse. This stretch loosens tight hip flexors for better mobility. • Kneel on the floor, putting a towel or blanket under your knees for added comfort. • Place one foot in front of you with the knee bent at a 90-degree angle. • Sink your hips down, keeping your torso upright, until you feel a stretch at the front of the hip on the opposite leg. Shoulder muscles and joints are particularly vulnerable to stiffness. Perform this stretch to minimize discomfort. • Stand or sit upright with a towel or yoga strap in one hand. • Extend your arm over your head, and bend your elbow to dangle the strap down your back. • Take hold of the other end of the strap with your opposite hand. • Gently move your hands up and down the strap to stretch your shoulder. • Switch sides to target the opposite shoulder. Spinal mobility is important in all stages of life. Use this twisting stretch to keep your back healthy and loose. • Sit on the ground in a cross-legged position or upright in a chair. • Put your left hand on your right knee and your right hand behind you or on the arm of the chair. • Turn slowly to the right, rotating through your torso and shoulders. Tight hamstrings make it hard to bend forward or reach down, and can lead to pain in other parts of the body. Here’s a gentle way to lengthen and loosen them. • Lie on the ground on a mat or other soft surface. • Bend one leg, and place your foot flat on the ground. • Extend the other leg upward, keeping it as straight as possible. • Grasp the back of your thigh or calf. • Gently draw your leg toward you until you feel a stretch. • Do the same with the other leg. Set aside time each day to stretch, and make sure your muscles are warm before beginning. Right after a walk or a workout is an ideal time for flexibility and mobility exercises. Aim to hold each stretch for 30 seconds to get the maximum benefit. At Caring Home Care, we strive to ensure that our patients enjoy a high-quality life. 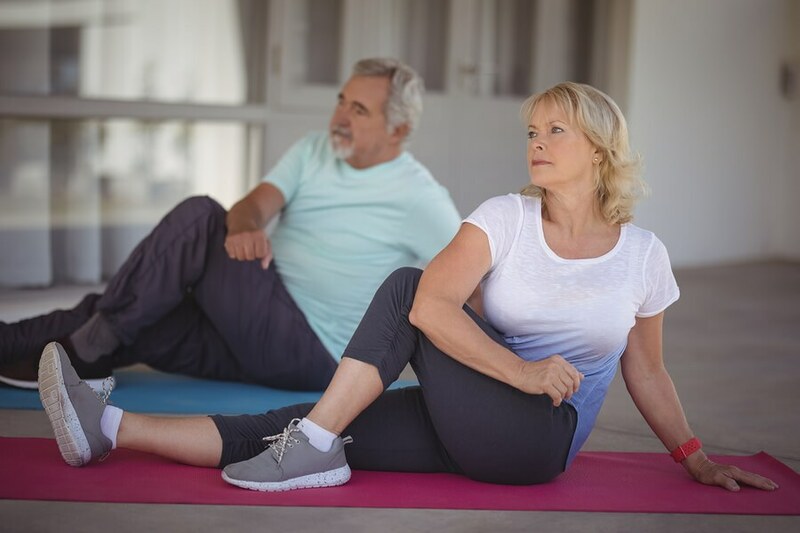 Our caregivers can help with mobility exercises and stretches to keep you or your loved one active, so you or they don’t miss out on a thing. Learn more today!